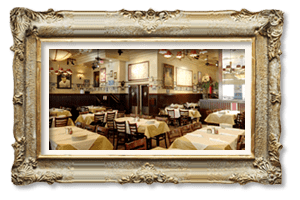 Carmine’s is a family style restaurant offering exceptional value to its guests through the many dishes of Southern Italian cuisine. Restaurateur Artie Cutler crafted Carmine’s with a singular vision; bringing his guests “wow-factor” sized portions and making any meal feel like an Italian American wedding feast. 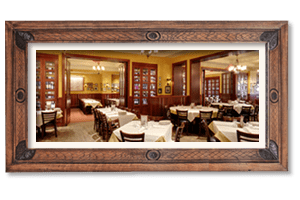 Platters of homestyle antipasto, pasta, decadent seafood or meat entrees, and of course homemade desserts are all staples at Carmine’s, meant for sharing amongst friends and family. When great food and wine are supported by friendly and knowledgeable service, the results are magic - we want every day to feel like a Sunday afternoon at Grandma’s! "Restaurateur Artie Cutler crafted Carmine’s with a singular vision; bringing his guests "wow-factor" sized portions and making any meal feel like an Italian American wedding feast." 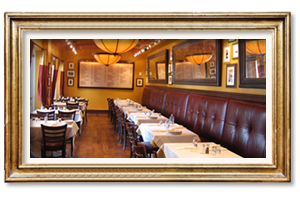 Carmine’s first location opened August 14, 1990 at 2450 Broadway on the Upper West Side of Manhattan. 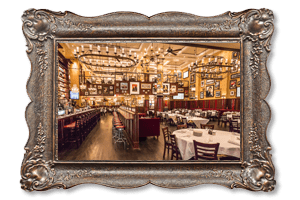 The classic decor of this flagship Carmine’s evokes the image of marquee New York restaurants that made this city into what it is today. 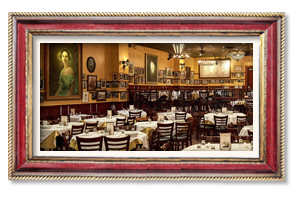 With elements drawn from America’s “Golden Age”, Carmine’s has the quintessential NYC feel, resonating with its customers and looking like it has always been a part of the Upper West Side- and always will be! 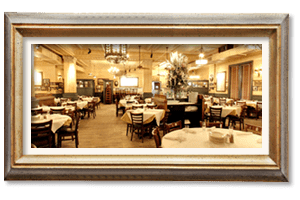 The interior style at Carmine’s started a trend in Italian dining rooms around the country, and the eclectic, spirited environment has become the perfect place for family celebrations. The restaurant was an immediate hit. Long lines of hungry diners became a nightly occurrence on Upper Broadway as word got out that something exciting- and tasty- was happening. The great food spoke for itself, but customers also marveled at the huge portions available at reasonable prices. Each dining experience was enhanced by the long lineup of cocktails spilling over the edge of enormous glasses, and a wine list featuring great value and a strong selection of varieties from Italy and the rest of the world. The Upper West Side could not get enough, and Carmine’s became the New York institution it is to this day.